Diana Arterian is the author of the chapbook Death Centos (Ugly Duckling Presse, 2013) and coeditor of Among Margins: Critical & Lyrical Writing on Aesthetics (Ricochet Editions, 2016). Her poetry and essays have appeared in Black Warrior Review, Boston Review, Denver Quarterly, and the Los Angeles Review of Books, among others. Her work has been recognized with fellowships from Caldera Arts Center, Vermont Studio Center, and Yaddo. 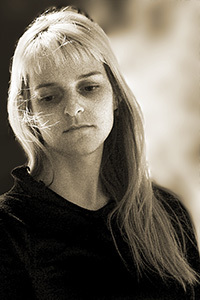 Arterian is a poetry editor at Noemi Press, and a managing editor and cofounder of Ricochet Editions. She is a PhD candidate in literature and creative writing at the University of Southern California.